It’s tough. Nearly vertical. A mile long killer punch, a body blow when you least need it. Many will be brought to a faltering, grimacing walk. Bent over double, pushing on thighs, fear in their eyes. Only a few will be running. So how do they do it? How can you join them and nail the Coffin Trail too? First though, I want to tell you a bit about the history of the “Coffin Trail”. Many people think we named it ourselves, when in fact, it IS a Coffin Trail, and there are many all over the Lake District. Back in the Middle Ages, when someone died they would have taken the body in a coffin to be buried in the nearest church cemetery. For those living in and around the west shore of Lake Windermere, this was in the village of Hawkshead. Claife Heights may not be the highest of hills, but it is very steep. So you have to try and imagine what it would have been like climbing that hill, sharing the weight of a heavy coffin with three or more others. Or a pack horse may have been used to pull the coffin along. 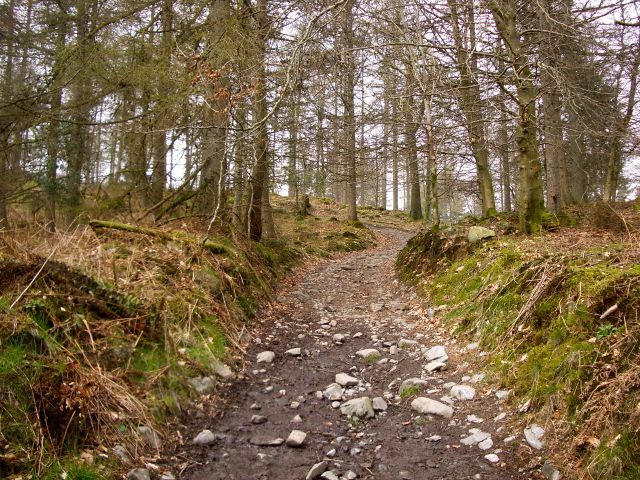 It’s for this reason the Coffin Trail is cobbled with rough stone, graded and zig zags up through the woods. Any steeper and it would be an impossible task. 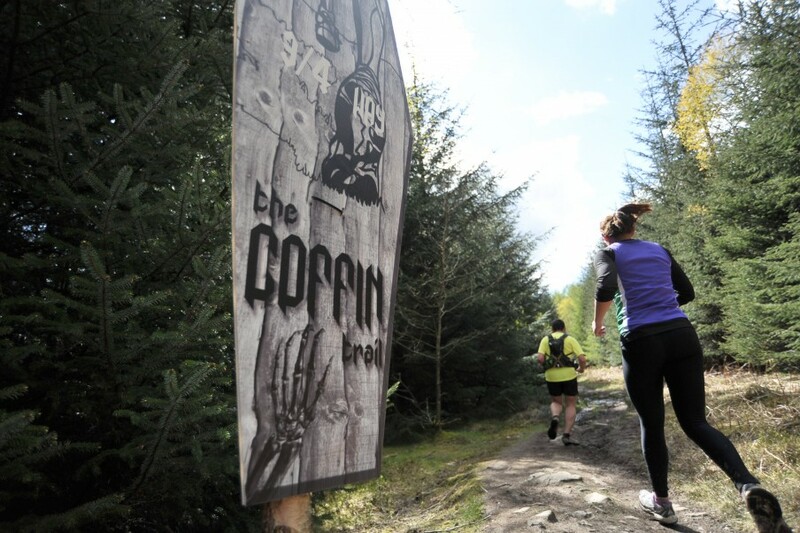 In both the 10km and 17km events, the Coffin Trail hits you when you have been running effortlessly along the lake shore. 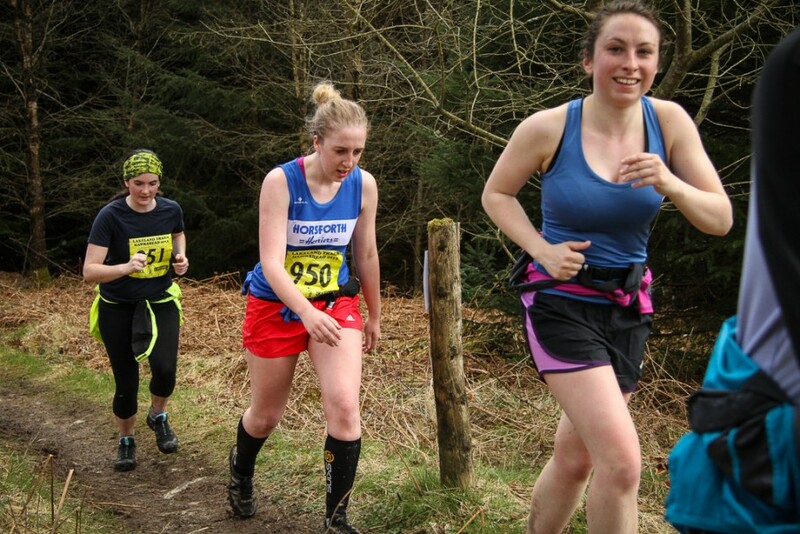 Although a welcome relief after some gruelling terrain beforehand. It is very easy to run too fast here and this is what does the damage when it comes to the climb. 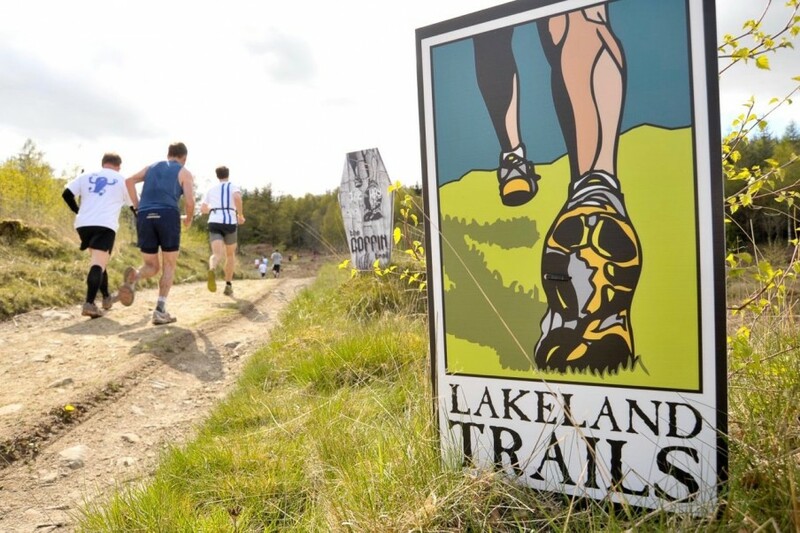 Our 10km competitors have had to negotiate leg sapping, wet, muddy fields, then the trail drops down to the lake, pancake flat for the next 2km. 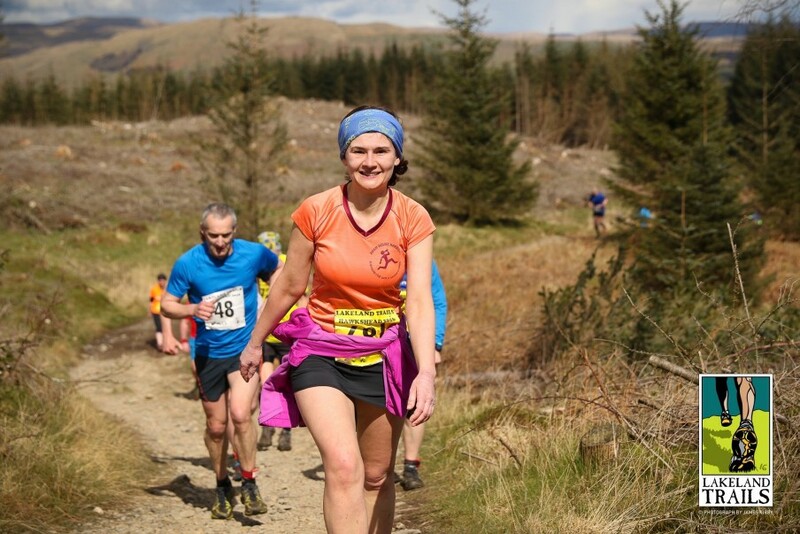 17km runners have already climbed Claife Heights once already! Pacing is an art. It takes a lot of practice to run within yourself and not to get carried away. This is especially so with others around you. The pace suddenly speeds up. The views across the lake are picture postcard perfect. It seems easy, so you join in. You know there’s the Coffin Trail still to come. Yet you tell yourself, it can’t be that bad. Can it? 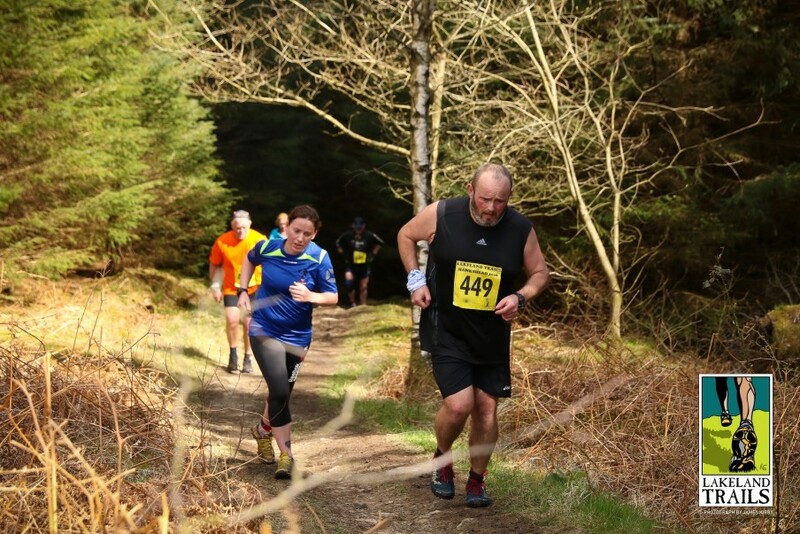 Remember too, that the ones right at the front in the 17K race do an awful lot of training. Some of them will be running around 100 miles per week. 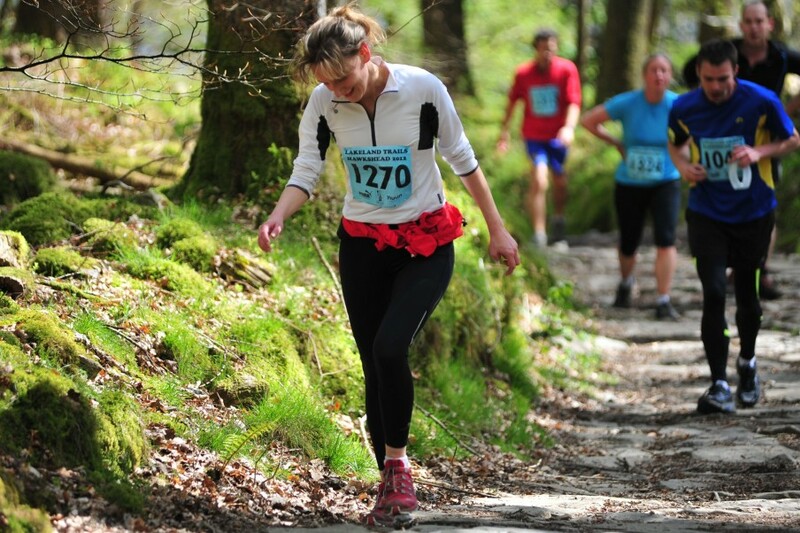 People like Tom Adams and Chris Holdsworth, first and second respectively at Cartmel this year, are in peak fitness. 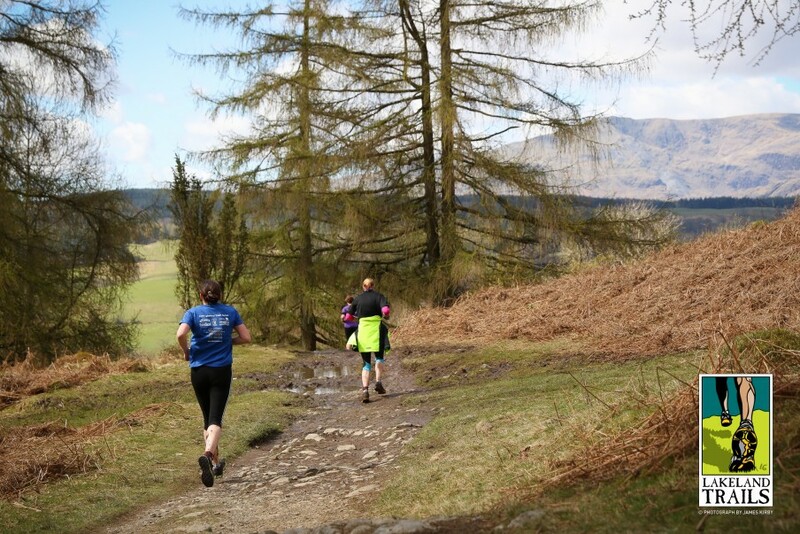 They run for Great Britain in the World Mountain Running Championships. Annie Conway, who won at Cartmel, is a World Champion. They all know how to pace themselves. The Coffin Trail can be run from bottom to top in less than 8 minutes by keeping up a steady rhythm – I myself have run this many, many times. However, it’s a completely different story if I’ve been running too quickly beforehand. This sort of time seems impossibly fast. It very much depends on getting the pacing right beforehand. We try and help by having props along the Coffin Trail to make you smile. Look out for the 1/4 way, 1/2 way, 3/4 way and summit coffin signs too. If you get it wrong and your legs are full of lactic acid, then you won’t be able to enjoy the fruits of your labour on the downhill either. There’s at least 3km of gorgeous descent with views to die for, down rocky, boulder strewn trails. Easy and fast when your legs are fresh. Painful and slow when they aren’t. At the bottom of the hill, there’s another kilometre or so of rolling fields and pretty Lakeland cottages before the glory of the finish in Hawkshead. You’re going to nail it this year. 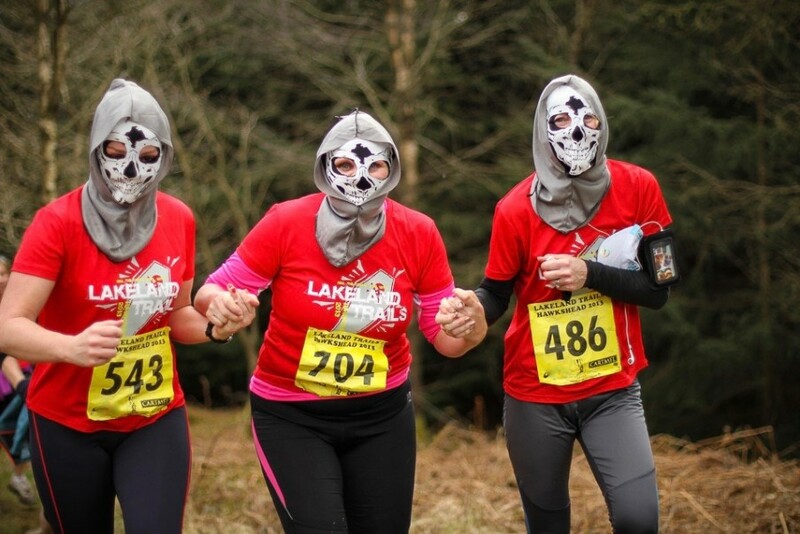 This entry was posted in Best Of, Blog and tagged Coffin Trail, Hawkshead Trail, Lake District, Lakeland Trails, run, running, trail, trail running, trails. Bookmark the permalink. Good Luck to all my Fellow 10k Trail Runners 🏃‍♂️ If you see a Guy with Blue KT tape on his Leg that’ll be me Running 🏃‍♂️ whilst half injured 🤕 silly perhaps but never one to give up the Coffin Trails is not going to make a victim of me – piggy 🐷 backs are Welcome though 😂✅👍 Good Luck to all my Fellow Runners you know who you are !!! !